Find out what put a rocket under this AIM tiddler, and what this market analyst thinks of oil prices. 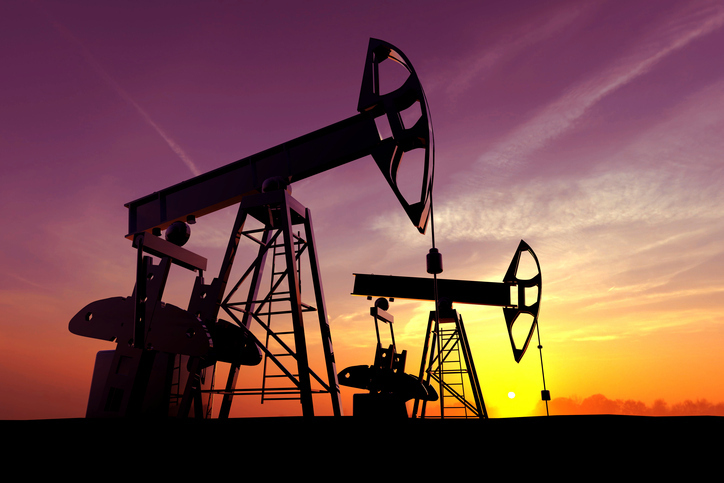 Oil markets are kicking off the week in a positive mood after Chinese manufacturing numbers indicate government efforts to stimulate the market may be working. Fears that China is slowing down have gripped markets for months now, so release of data to the contrary has put equities traders in bullish mood. Spot WTI has risen to $60.67 per barrel at the time of writing. Elsewhere, Russia reaffirmed its commitment to cut production. Current data shows the country was producing 11.265 million barrels per day (mbpd) of crude at the end of last month. This is a 153,000 barrel per day (kb/d) reduction from levels seen in October. It is said producers are on their way to hitting the agreed 228 kb/d cut in coming weeks, but we await confirmation. Looking at the chart, the next resistance level on the way up is 2018 support at $63.72, although it does not rule out a wave lower before then. The medium-term outlook depends on sanctions against Iran. If the US imposes tough sanctions, nations that buy oil from Iran would have to stop. US president Donald Trump would not want this as it would push the price of oil higher which he has already said he doesn't want. Nevertheless, the uptrend is still in place and, until we get any kind of confirmation, next resistance remains at $63.72. Block Energy's well 16a at the West Rustavi field in the Republic of Georgia has delivered a test flow rate of an average 1,100 barrels per day (bpd), more than three times the estimated target production rate of 325bpd. That's better than any well drilled in Georgia for 50 years! Block currently has a 71.5% working interest in West Rustavi, which is in the heart of the prolific Kura basin next to the largest historical producing field in Georgia. It secured an agreement in February to take that up to 100%. Today's result is exciting because this field contains an estimated 38 million barrels of gross contingent resources (2C) of oil. Block also holds legacy gas discoveries supporting a gross contingent (2C) resource of 608 billion cubic feet. Block chief executive Paul Haywood said: "Management will now digest this extraordinary result and crystalise a development strategy beyond that already outlined to the market on Well 38. This is truly an exciting time for Block Energy, and we look forward to updating the market shortly." Block Energy only listed on the AIM market in June 2018, raising £5 million via an oversubscribed placing at 4p a share. After closing at 3.9p on Friday, the share price peaked today at 7.2p, a new high, valuing the business at almost £20 million. At flotation, the company set out its aim to increase production to 900bpd via a low-cost low-risk workover programme and sidetrack any existing wells. It has a break-even point at 110bpd with the oil price at $70 a barrel.